Amendments to the Protection of Personal and Property Rights Act 1988 introduced plain language forms of Enduring Powers of Attorney (EPA) and standard explanation documents outlining the effects of appointing an attorney. These changes came into effect on 16 March 2017. An EPA is a legal document that allows an individual (called the Donor) to appoint another person or persons (called the Attorney(s)) to take care of their personal care and welfare and/or property if the Donor loses the ability to do so themselves. This appointment does not prevent the Donor from managing their own affairs. In contrast, a General Power of Attorney is valid only when the Donor has the legal capacity to instruct the Attorney(s). An EPA for property allows the Attorney(s) to deal with the Donorʼs property: for example, shares, land and money. The Donor may wish the EPA to take effect once signed and continue to apply if he/she is mentally incapable; or only to take effect if he/she becomes mentally incapable. This EPA allows an Attorney (only one Attorney may be appointed at any one time in respect of personal care and welfare) to make decisions about the Donorʼs personal care and welfare if he/she becomes mentally incapable. 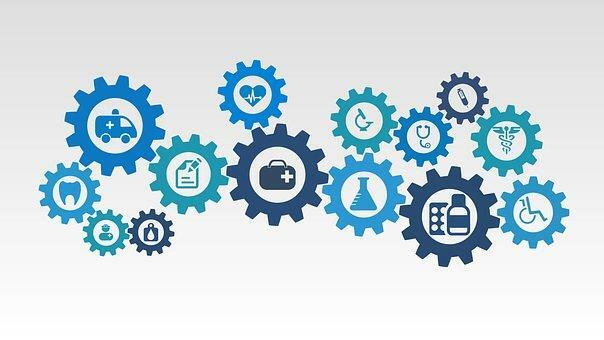 This power is subject to various safeguards and extends to decisions on any medical treatment required and whether the Donor attends hospital or becomes a resident in a residential care facility. Under this EPA, the Attorneyʼs powers can be general or specific depending on the Donorʼs wishes and ends when the Donor dies. The key change to the law is that instead of instructing a lawyer to create the EPA document itself, there are now forms available for both types of EPAs. The EPA forms can be downloaded, completed and witnessed by a lawyer, qualified legal executive or representative of a trustee corporation. However, it is still essential to obtain legal advice before certifying the form. The forms provide options available to the Donor and outline the responsibilities of the Attorney(s). A medical certificate is required to determine whether the Donor is mentally incapable. Under the old requirements, medical certificates were to be prepared in a prescribed form under particular regulations. However, some medical practitioners used their own form of medical certificates r esulting in non-compliance. From 16 March 2017, medical practitioners can use their own form of medical certificates provided information from the relevant regulations is included. Previously issued certificates are still valid and do not need to be replaced – but can be if desired. Any EPAs executed by the Donor and Attorney under the old provisions still remain valid; however, EPAs signed by the Donor on or prior to 16 March 2017 and not by the Attorney will need to be re-executed under the new provisions. If an EPA signed after March 2017 revokes an earlier EPA where the powers of the Attorney are the same but the Attorneys appointed are different under each EPA, notice must be given to the previously appointed Attorney before the new EPA can have effect. Notice may be given by the Donorʼs lawyer or an Attorney under the new EPA if the Donor is mentally incapable. The Department of Justice, in its 2017 report on cyberbullying and other forms of digital harassment, concluded that this modern form of bullying and intimidation has devastating effects on people and more should be done to deal with it. 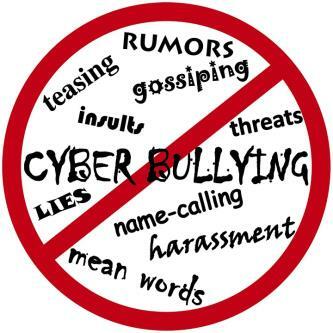 Despite a widely held understanding of the effects of cyberbullying, historically there have been very few avenues of redress for victims of cyberbullying in New Zealand. In response to the Department of Justiceʼs report, the Harmful Digital Communications Act (HDCA) was enacted in 2015 to provide such avenues. The purpose of the HDCA is to prevent and reduce harm to individuals caused by harmful digital communication (HDC) and to provide victims of HDC with a quick and efficient means of redress. HDC is any form of public or private electronic communication, which includes text messages, online posts, photographs and video recordings that cause serious emotional distress to an individual. In R v Partha Iyer  NZDC 23957 the Court was asked to determine if the Crown (the body that brings these matters before the Courts) had sufficient evidence to support a prosecution under the HDCA. The Court held that serious emotional distress did not have to be physical, but the victim must be more than merely annoyed or upset. The key sections of the Act considered in Partha were sections 22(1) (Causing harm by posting digital communication) and 19 (Orders that may be made by Court). Whether it caused harm to the victim. The Court found in Partha that intention to cause harm under section 22(1) of the HDCA could be the intention to elicit a serious response of grief, anguish, anxiety or feelings of insecurity. To prove intention, the Crown must demonstrate that the defendant inflicted feelings of serious shame, fear and insecurity on the victim enabling the defendant to achieve their aim. The onus is therefore on the defendant to prove that there was no such intention or the same result could not have been achieved without inflicting serious emotional distress. In Partha, the defendant openly admitted to posting revealing photos of the victim to coerce the victim into achieving his aim; meaning that inflicting serious emotional distress could not be separated from the intention to harm. Section 22(2) sets out a non-exhaustive list of factors which the Court may consider when determining whether the post was likely to harm an ordinary person in the position of the victim. The onus is on the Crown to satisfy this test. In Partha the Crown produced photos showing the victim in a state of undress. The Crown submitted that, due to the victimʼs professional standing in the community, the pictures were likely to cause harm to the victim by damaging the victimʼs reputation. The onus also rests on the Crown to prove that the information has caused harm to the victim. In Partha the District Court ruled that the Crown had not produced sufficient evidence to establish that the victim suffered serious emotional distress. However, on appeal Justice Downs stated that there was serious matter to be tried and therefore the Crown should pursue a prosecution in a full substantive trial. The matter remains before the Courts. If it is likely to cause harm to the victim. A fine of up to $50,000. The Court in Partha quoted Parliamentary discussions about the HDCA and determined, in conjunction with these discussions, that penalties will vary depending on the seriousness of the crime. Accordingly, while the HDCA it still young, it has real potential to hold people who engage in cyberbullying and digital harassment accountable for the harm they inflict, and the more serious the harm, the more severe the sentence. Based on the 2011 Australian Model Work Health and Safety Act, New Zealandʼs Health and Safety at Work Act 2015 (HSWA) passed into law on 4 April 2016. New Zealandʼs historically high rate of workplace deaths and near misses (notably the 2010 Pike River Mine tragedy where 29 miners died d ue to substantial health and safety failures) was a key motivator for the overhaul of our health and safety laws. During Parliamentʼs readings and consultation over the HSWA, business people and the general public voiced concerns that the HSWA was a step too far and would unreasonably and fundamentally affect the way New Zealand businesses operated. However, the lawmakers cited our poor health and safety record in pushing the HSWA through. Under the HSWA, Persons Conducting Business or Undertakings (PCBU) have a duty to ensure that, so far as reasonably practical, the workplace is without risks to the health and safety of any person. PCBUʼs are usually business entities such as companies, but also includes sole traders, self-employed persons, contractors and certain volunteer organisations. The HSWA also places obligations on persons to whom responsibility for health and safety has been delegated (Officers) and persons working at a workplace (Workers). In general terms, a PCBUʼs underlying obligation is a duty to ensure that all reasonable measures have been taken to protect the health and safety of Workers and other persons who are at the workplace. Officers (individuals who are in positions that allow them to exercise significant influence over the management of the business or undertaking) are responsible for exercising due diligence to ensure that the PCBU complies with its duties. Workers must take care of themselves and ensure that they do not affect the safety of others and comply with all reasonable directions, policies and procedures. In November 2016, the Court was asked to determine penalties relating to an incident that involved an employee who was killed when a substance was being transferred from a transport tank to another tank under pressure. The company involved was charged under the old Act and pleaded guilty. The penalties levied on the defendant in this matter were more severe than those in the PRCL case. Here, the company was ordered to pay $140,319.80 in reparation to the victimʼs family. Reparation was ordered instead of fines so that the affected persons were compensated as the company was in liquidation and did not have the resources to pay both reparation and fines. However, the Court found that an appropriate fine, in this case, would have been $73,800. In the same case, the director of the company was held personally liable and fined $85,500. Despite there being no decisions by the Courts under the HSWA, it is clear that New Zealand businesses, their owners and key staff will face higher penalties in future. Property is often purchased and sold in New Zealand, particularly in a sellerʼs market, via auctions. However, buyers frequently underprepare for an auction and are caught out when the hammer falls. Some of the types of reports that a buyer might need will be contained in the agentʼs auction pack. A LIM report enables a buyer to ascertain whether buildings and/or structures on the land which require consent, such as a dwelling, spa pool, garage or fireplace have been approved by the local council. In addition, a LIM report may provide information on the zoning of the area and natural hazards. Obtaining a builderʼs report entails engaging a qualified builder to perform a pre-purchase inspection, and provide a written report outlining any significant building defects. A comprehensive builderʼs report can be expected to include advice on fences, paths, retaining walls, foundations, insulation, ventilation, plumbing, drainage, structures and roofing materials. As auctions are based on potential buyers making unconditional offers to the vendor, it is essential that any necessary finance is arranged prior to bidding at auction and that buyers are in a position to draw down the funds on the designated settlement date. Default interest is a higher interest rate which is payable if a party to an agreement fails to fulfil an obligation to the other party. Typically, commercial arrangements, settlements and the vast majority of loan agreements contain default interest clauses. Default interest clauses are often seen in the standard terms of a loan agreement. The ordinary interest rate in a loan agreement might be 6.24% per annum. If the borrower was to miss a repayment, the agreement might require that party to pay a higher interest rate of, say, 11.24% on the sum that was not paid. Default interest must be set at a reasonable commercial rate, which constitutes a genuine pre-estimate of loss to the innocent party in the event of default. Factors material to ascertaining a reasonable commercial rate include the nature of the business, the industry, the economic climate and interest rates charged by major lenders such as banks. Default interest cannot, by law, be used as a tool to penalise a defaulting party. The term “penalty” applies to punitive default interest rate clauses within a contract. Essentially, this is where a contract is designed to make the consequences of a breach so daunting that a debtor will not default. Default interest clauses which constitute a penalty are unenforceable, even where parties agree to such a clause at the outset of the agreement. A trust is an arrangement in which a person (Settlor) transfers assets to selected persons (Trustees) to be held for the benefit of persons named by the Settlor (Beneficiaries). A trust is usually established by way of a trust deed but can be created via less formal means. Once the trust is created, the Settlor loses legal ownership of the transferred assets; the Trustees then become the legal owner(s) of the trust assets. The Trustees have a duty of the utmost good faith to both the Settlor and the Beneficiaries, and to deal with the trust assets in line with the terms of the trust together with the Trustee Act 1956. The Beneficiaries are the only people entitled to benefit from the trustʼs assets. Any person (including corporate persons such as companies) can be a beneficiary of a trust, whether that person is alive or unborn. A Settlor may appoint themselves as a Beneficiary. When establishing a trust, it is vital that the Settlor considers who he or she will appoint as the Trustees and Beneficiaries. To do so, it is important to understand the roles, responsibilities and rights of each participant in the trust, and to take advice from experts.